This active web resource records thousands of significant hydrological events in its database. 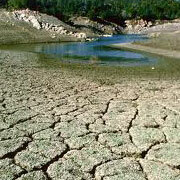 It covers floods and droughts, surface and groundwaters, and is searchable by hydrometric area, date, keyword or more. It has been heavily used as a source of information by hydrologists seeking to identify records of historic floods which help to guide contemporary flood risk estimation. The chronology does not claim to be exhaustive, but seeks to point users towards useful sources of further information. New contributions are welcome from those with an interest in past hydrological events.